If you can't open the files you may need to download the free software, ADOBE READER here. 4.CUT out the drink wrappers using scissors or paper trimmer. Cut out the shamrock shapes with scissors. 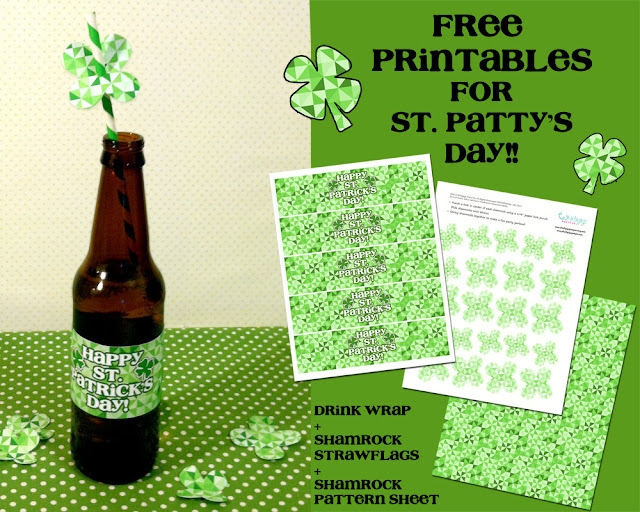 Punch a hole in the shamrock centers with your hole punch. 5.ASSEMBLE DRINK WRAPS by wrapping around your drink containers and secure with a bit of scotch tape. If you don't want tape showing, apply a bit of glue stick on the excess overhang before wrapping around your container. 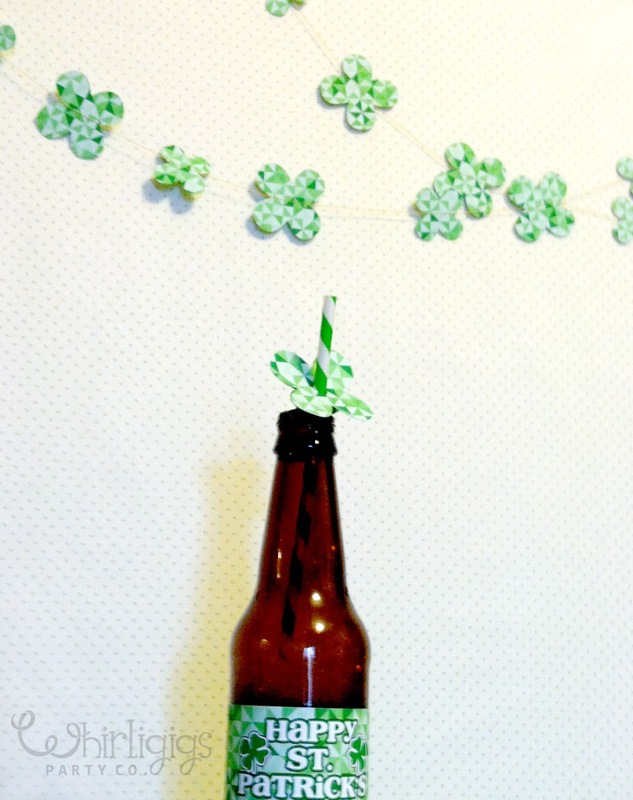 6.ASSEMBLE SHAMROCK DRINK SLIDES by simply sliding the shamrock shape onto your straws! St. Patty's Day Party table! ALL Whirligigs Party Co. printables are *FOR PERSONAL USE ONLY Do not sell, share or sell items made from these printables. ©2013 Whirligigs Party Co. All rights reserved.